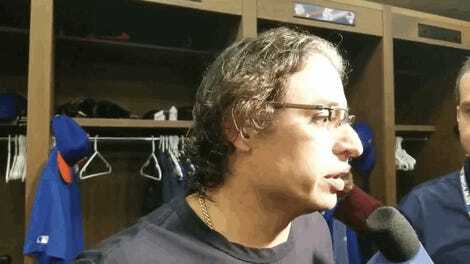 Just three days after Jason Vargas had to be yanked from a start when he gave up four earned runs in a third of an inning, Mets pitcher Steven Matz outdid his teammate against the Phillies on Tuesday with an even worse performance. In a zero-inning outing, he faced eight batters, gave up eight runs and recorded zero outs. The trouble began when a fielding error helped Andrew McCutchen get to first, and a double from Jean Segura moved the runners to second and third. With those ducks on the pond, Matz hit Bryce Harper with a 93 mile-per-hour sinker to load the bases. J.T. Realmuto then smacked a double on an 0-2 count to bring two runners home. Scott Kingery then hit a three-run dinger to left field so that Matz could match the worst pitching performance in a half inning for the team this season with his fourth earned run—though Vargas was at least kind enough to get an out for his team first. But Matz wasn’t done yet. 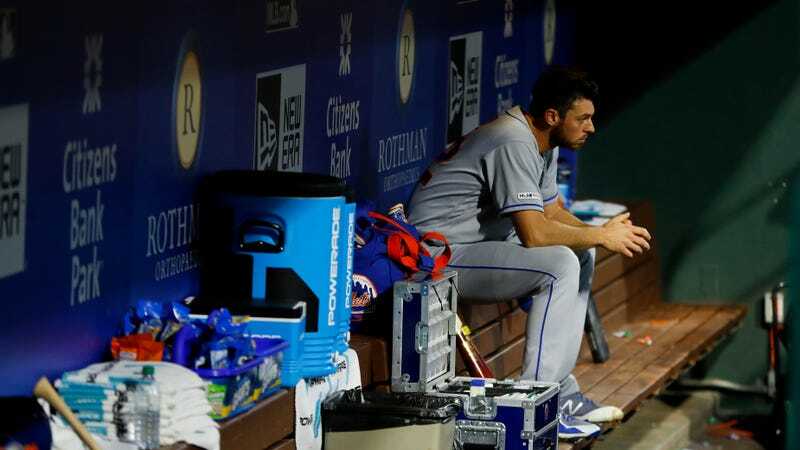 For some reason, Mets manager Mickey Callaway believed his pitcher still had a chance to redeem himself. The pitcher used this confidence to walk Cesar Hernandez and allow Aaron Altherr to get on base thanks to a fielding error. It wasn’t until Maikel Franco smoked an 83 mile-per-hour changeup into the stratosphere for a three-run homer that Callaway finally pulled the plug on his struggling lefty. Matz headed to the dugout with a standing ovation from the Philadelphia crowd. As if a stat line of four hits, eight runs (six earned), one walk and two homers wasn’t bad enough, his ERA also jumped from 1.65–good for fifth-best in baseball—to 4.96. Oh, and he made his way into the history books. He also joined some guys with his feat. The good news for Matz is that he’s not quite as bad as at least one of the pitchers on this list. Paul Wilson, for example, earned all eight of the runs he gave up in the awful outing he had in 2005, and would only have two more starts—he gave up 20 hits and 11 runs over those two games—before leaving the league entirely. So things could always be worse.